‘The Lost Boys’ Turns 30 this Year and We’re Celebrating! 30 years ago I was a snot-nosed kid who thought he understood the world and the way everything worked. And then I started diving into horror films and I realized there may be a few wrinkles in my line of thought. Joel Schumacher played a large part in opening my eyes. The Lost Boys was one of the earliere horror films that my father permitted me to pursue inside of a local cinema. I was excited beyond belief. 90 minutes later I strolled out of that theater feeling liberated and paranoid at the same time. Schumacher nailed childhood life and habit so perfectly that suddenly I realized, if kids onscreen can be that believable, then it’s conceivable that a pissed off, hungry vampire could descend on my father’s car and turn that old hunk of junk into a convertible with no owner and a need for a new interior job. Of course, none of that happened. But my imagination did run wild for quite some time after seeing The Lost Boys. That’s what a great film does to you: it sticks to your insides. 30 years later The Lost Boys hasn’t lost much sheen. It’s still an extremely exciting picture that sports some absolutely sublime characters – both on the antagonistic side of things, as well the heroic (how can you not adore Corey Feldman’s faux-tough guy act as Edgar Frog, and really, who wasn’t mystified every time Kiefer Sutherland stared at the camera like he wanted to eat it?) – and it still delivers legit chills during a few select moments. Again, I’ll reiterate, The Lost Boys was excellent. But critics seemed generally torn on the film. Roger Ebert seemed relatively neutral, yet still declared that blast of a conclusion just another “by-the-numbers action climax(es).” That’s not a damaging review, at least not as damaging as Caryn James’ opinion, which was little more than a length massacre session for the NYTimes. At least Jay Carr of the Boston Globe appeared to really appreciate it for what it was. The simple fact is, time has been kind to The Lost Boys. Over the decades its only added new members to the unofficial Lost Boys Fan Club. People still buy it, and they still adore it. It may have missed the top slot (it debuted at number two at the box office with a $5 million haul, before eventually taking home a total of $32 million in ticket sales) at the box office, but it’s longevity is unquestionable. Oh, and by the way, the film to beat out The Lost Boys? The Living Daylights – a Bond flick a Bond fan probably couldn’t name! Happy birthday, Lost Boys, you’ve outlived cinematic peers for ages, and it’s been one hell of a three decade run! 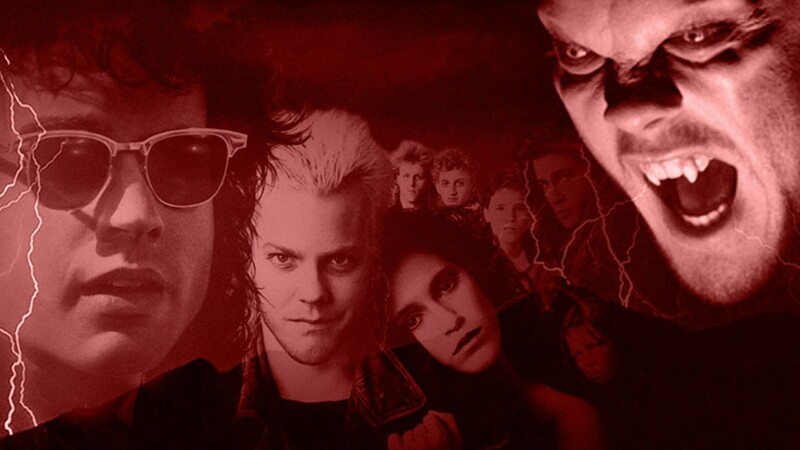 1 Comment on ‘The Lost Boys’ Turns 30 this Year and We’re Celebrating! That movie was such an integral piece of my childhood!